Rehabilitation Centre for Stress and Trauma, in cooperation with its’ partners — Transcultural Centre for Mental and Physical Health and Integration OMEGA from Austria and Centre for Assistance to Refugees and Torture Victims EXILIO from Germany – has ended a two year long project under the name of “Rehabilitation, Empowerment, Integration of Asylum Seekers and Refugees – Torture Victims”. 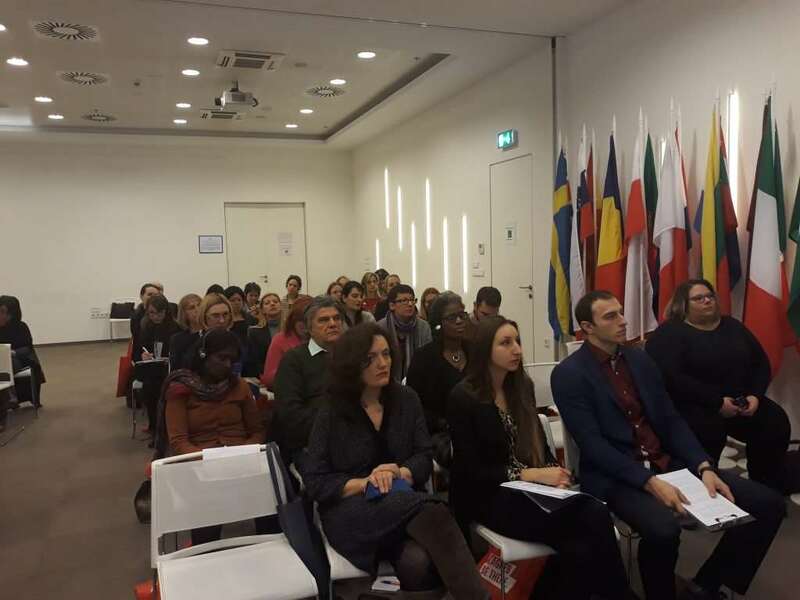 The finalization of project was hallmarked by the final conference, which was held on 28th of February 2018 in the House of Europe in Zagreb. The main goal of the conference was an exchange and dissemination of good practices regarding rehabilitation and socio-economic integration of torture victims and other traumatized refugees and asylum seekers within the EU. Accordingly, we have presented innovative practices that resulted from our work with beneficiaries, as well as the results of the projects, treatments, and activities we have held. Ms Valentina Zeljak Božović, the president of RCT opened the conference. After expressing welcome and introductory words, Ms Sandra Šipka – RCT psychologist – reviewed the realization of the project, including the activities held and results that were accomplished. Specific challenges in implementation, including the shifts in political and social context within project countries were explained by Ms Zdenka Pantić, RCT psychotherapist, Dr. Emir Kuljuh, OMEGA psychiatrist and Dr. Axel von Maltitz from Exilio. During the last two years, the partners have coped with various challenges and difficulties, some of which are shared in all the project countries. Some of them include an increase of intolerance toward refugees among general population and incoherent policies regarding their reception and protection. However, the observed differences that emerge when comparing Croatia to countries of Western and Northern Europe are generally outcomes of lack of experience and underdeveloped institutional structures in the system of refugee protection and refugee integration in Croatia. Ms Dragana Knezić, RCT psychologist, psychotherapist and coordinator of this project, presented Solution Focused Brief Group Intervention during the second part of the conference. Namely, the Solution Focused Intervention was developed in collaboration between RCT and partners within the project as a specific approach to traumatized persons. The protocol of this brief group intervention, as well as methods and principles of the intervention were presented. Furthermore, Prof. Damir Ljubotina introduced the evaluation research results and recommendations. 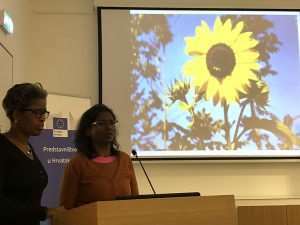 These results are also presented within the RCT publication “Rehabilitation, Empowerment and Integration of Asylum Seeking Torture Survivours – Evaluation Research Results” as well. 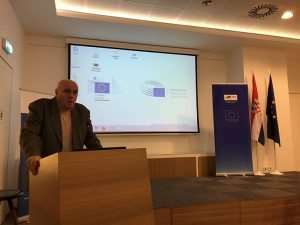 The final part of the conference was highlighted by a lecture of Prof. Žarko Puhovski, “EU on the Crossroad — Solidarity in Rights or Solidarity of Defenders of the Fortress”. The lecture was focused on roots of intolerance against “others” and “those who are different” in Europe, and offered an insight in historical development of these attitudes and their reflection in todays’ politics and practices towards refugees and migrants. The conference was attended by our colleagues from the civil society, professionals and workers from governmental institutions, from sectors of health and education, all of whom are included into the system of protection and/or provide support and services to refugees and seekers of international protection. Special guests were representatives of rehabilitation centers and other organizations which support traumatized refugees and torture survivors from Italy, Netherlands, Greece, Romania, Serbia, Bosnia and Herzegovina and Kosovo. This project was funded by the EU within the Pilot Project/Preparatory Action on Victims of Torture, and was co-funded by the Office for Cooperation with NGOs and City of Zagreb.